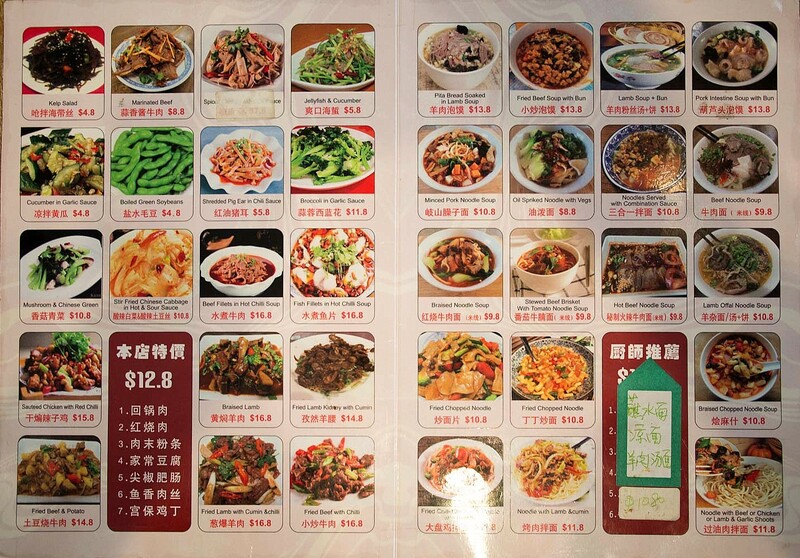 Happy Valley gets happier with Duoway Chinese Noodle Hub. Duoway recently appeared in the dip in Broadway that we like to call Happy Valley, that B-Kyu magic mile of student-feeding restaurants between Broadway Shopping Centre and UTS. 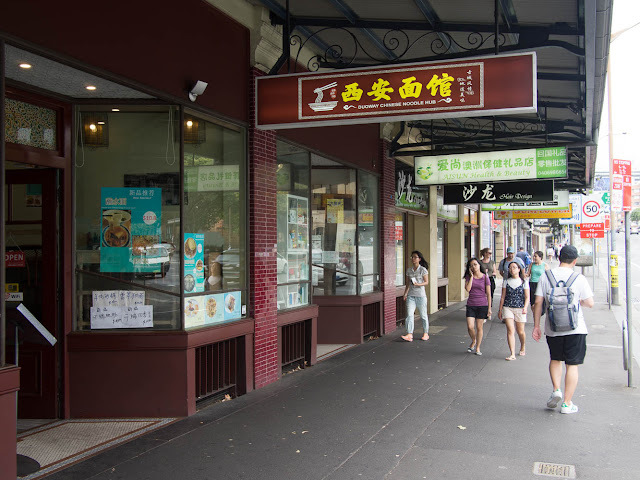 This particular shop has been home to a bunch of restaurants over the years, our favourite being Shalom, which we did one of our first blog posts on. Normally we like to wait a while before checking a joint out but today, which just happens to be Australia Day, Straya Day, Invasion Day, or Bogan Christmas, whatever you like to call it, we had a particular noodle fetish. We were actually on our way to Xian Biang Biang for a Number 14, but saw a similar dish on the menu at Duoway. Sold. 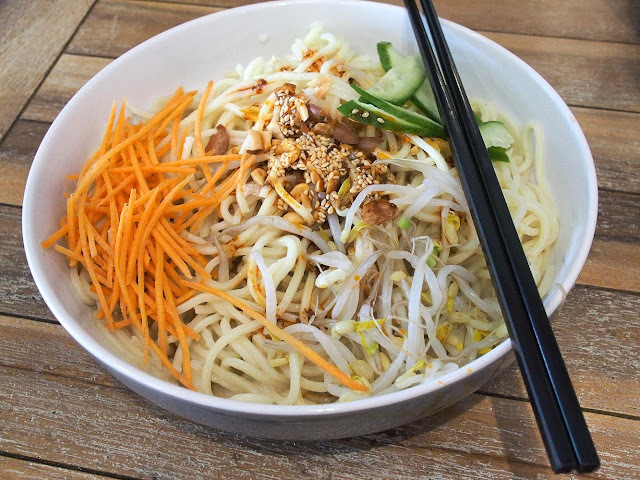 Cold noodle with sesame paste - $10.80. A u-beaut special from the wall, spaghetti-like noodles with some grated veggies and just the right amount of sesame paste. Cold noodles go down a treat on a hot summer day. 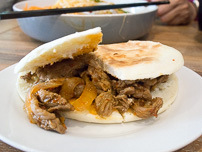 Chinese burger (pork) - $5.80. 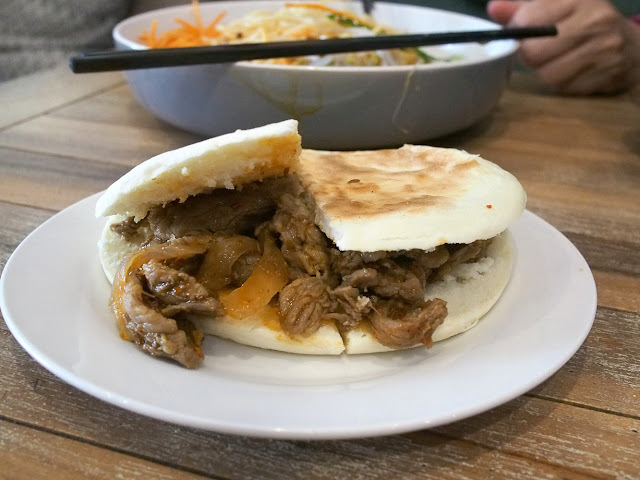 We've had some so-so Chinese hamburgers of late, but this one is a ripper, the bread is toasty warm with a little crunch to the outside, and the pork and onions inside are cumin-y, a little spicy and wet and the perfect counter to the bread. Tops. 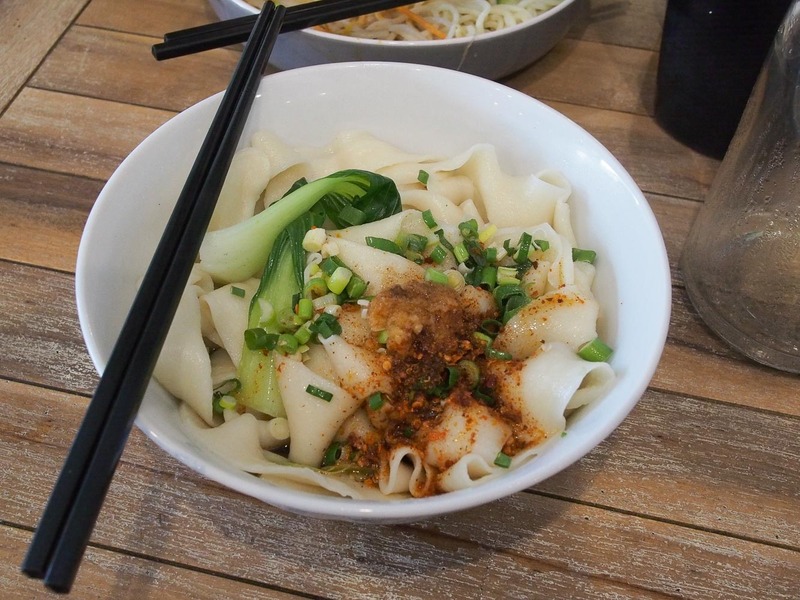 Oil spriked noodle with veg - $8.80. Simply flat noodles coated with oil, garlic and a little chili, with a some green veg for colour and freshness. This is a great version of a favourite dish of ours, it has a big flavour to the oil and a nice chomp to the noodles. We were impressed with our first of many feeds here, we look forward to getting stuck into that menu. 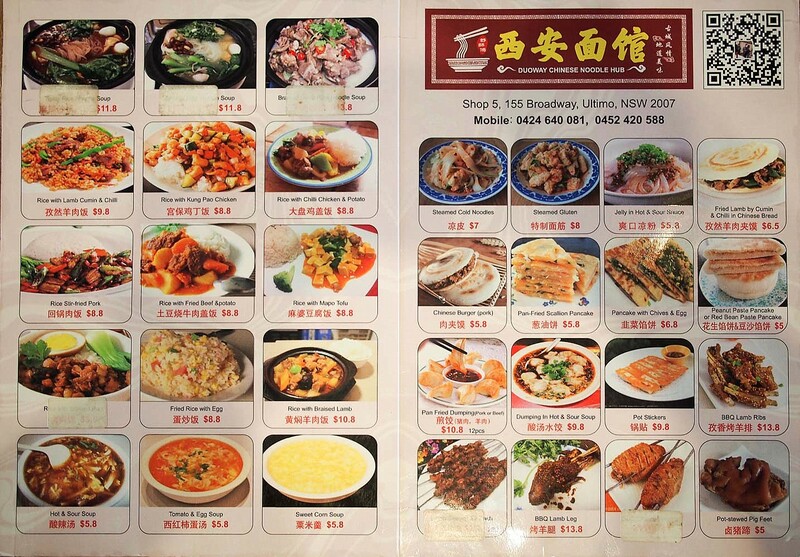 Duoway Chinese Noodle Hub - click to enlarge...Duoway Noodle Hub is at 155 Broadway Road, Ultimo/Broadway/Happy Valley. I love the name happy valley. I am going to start using it.